Sometimes in the midst of the direst of Disney cravings, a manufactured taste of the magic is in order, literally. One of my favorite treats in all of Walt Disney World is the ice cream cookie sandwich. And I’m not talking about the small, packaged Klondike ones that you can find at any poolside snack stand across the country (though those have their moments, too). I’m referring to the big, honkin’ mammoth of a creature that is the ice cream cookie sandwich sold at the Main Street Ice Cream Parlor and at Sleepy Hollow, both in the Magic Kingdom. These things are HUGE. Two giant chocolate-chip cookies smother together a sizeable helping of ice cream (which is by default vanilla, though you can request a different flavor if you’d like). It’s warm, messy, and falls apart quite easily in the hot Florida sun. But it’s just about one of the best snacks you’ll ever taste. And the best part is that it’s very easy to re-create right from home. It makes for a perfect, quick fix if you miss Disney. Getting the cookie right is the real secret. To imitate WDW favorably, the bigger you can find, the better. Thickness is also of importance—if the cookie is wide but not thick, it will dissolve right over the ice cream. I’ve found that Starbucks has the perfect size that best reflects Disney’s cookies. A good runner-up is Chick-fil-A’s smaller cookies. I’ve tried both—their tastes are comparable, so it comes down to size. Do you want a monstrous creature to devour, or something a bit tamer? It’s just up to you. Once you have your two cookies, come home with your ice cream of choice (mine today was java chip) and put the sandwich together! Here we find another decision to make: do you want your cookies as-is, or extra warm? Warm tastes better I think, but it also means the whole thing is going to be a bit gooier and make a bigger mess. Your choice. And there you have your finished creation! If you really want to go the extra mile to feel like you’re really there, find some Main Street background music on YouTube and eat outside under a sweltering sun (well, maybe not that last part). The ice cream cookie sandwich is my #1 go-to Disney fix: it’s quick, easy, and reminds me of my favorite place. Do you ever recreate Disney like this from home? 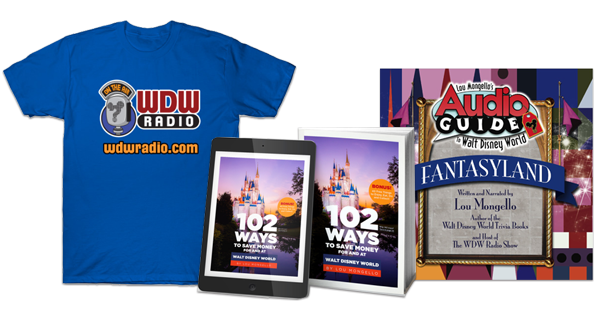 Congratulations to Lorainne P., who was randomly selected from last week’s comments to win a WDW Radio Mystery Ticket! Lorainne shared a story about Disneyland to celebrate the park’s 58th birthday. Be on the lookout for future opportunities to win a Mystery Ticket right here on the blog. Blake is a college student focusing on Creative Writing and Media Studies. He enjoys making his family of six watch the parade on Main Street and then sprint to Frontierland in time to see it again. You can follow Blake’s random Disney ramblings on Twitter at @blakeonline, or at BlakeOnline.com. I tried one of these ice cream sandwiches for the first time on my last trip. It was delicious! I too enjoy fixing food from Walt Disney World at home. 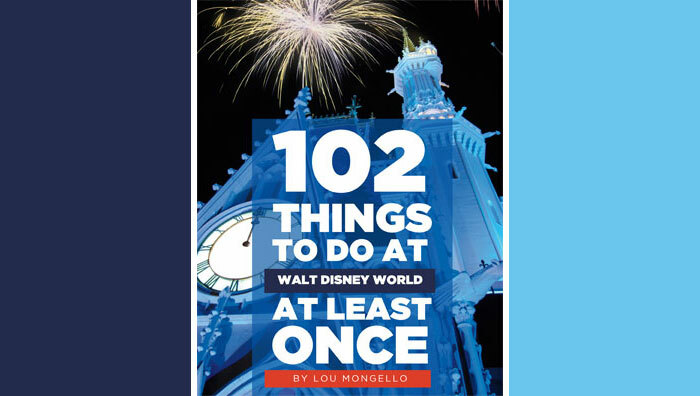 Some of my favorites that can be reproduced fairly easily are the Lighthouse Sandwich from Columbia Harbour House, the Fruit and Nutella Waffle Sandwich from Sleepy Hollow Treats, and Tonga Toast from the Polynesian Resort. I have recreated the butterfinger cupcakes sold at Starring Rolls in Hollywood Studios and it was worth every minute spent in the kitchen.